Turkish PM Recep Tayyip Erdoğan met with Somaliland’s leader, Ahmed Muhammed Silanyo, in Istanbul to discuss a peaceful resolution to tensions between Hargeisa and Mogadishu regarding Somaliland independence. Prime Minister Recep Tayyip Erdoğan met with the leader of Somalia’s autonomous Somaliland region, Ahmed Muhammed Silanyo, in İstanbul on Wednesday [3 October 2013]. The meeting was closed to the press. Turkey holds regular direct talks between the leaders of Somalia and Somaliland, acting as a mediator to resolve the problematic issues between the two sides. 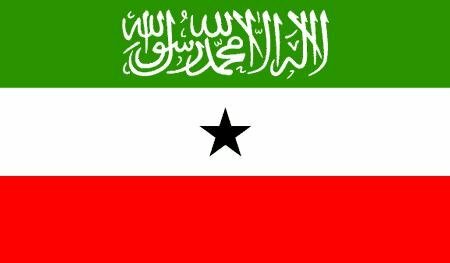 Somaliland unilaterally declared its independence as a de facto sovereign state in 1991 after a coalition of clan-based armed opposition groups ousted the nation’s long-standing military government. Somalia wants Somaliland to be part of a united country. But the territory, which has been a haven of relative peace amid the chaos and bloodshed in the country’s south, is seeking international recognition. The international community is urging the sides to find a negotiated solution. Somali President Hassan Sheikh Mahmoud and Silanyo came together for the first time in a tripartite meeting held by top Turkish officials at the request of the two parties in Ankara in mid-April. Foreign Minister Ahmet Davutoğlu described the first meeting on April 13 in İstanbul as a “historic start,” at which the parties signed the “Ankara communiqué,” voicing their commitment to the continuation of dialogue during proximity talks hosted by Turkey. In early July, Davutoğlu also came together with officials from Somalia and Somaliland in a continuation of the peace talks between the two sides which started on April 13. The Somaliland president also visited Turkey in mid-March to have talks with Turkish officials, including Davutoğlu, who pledged to increase aid efforts to Somaliland. During his visit, Silanyo was also scheduled to meet with Erdoğan; however, the meeting had to be cancelled due to Erdoğan’s poor health. Diplomatic sources stated that five ministers from the Somaliland side also attended the Davutoğlu-Silanyo meeting, which was closed to the press. Meanwhile, in mid-January, Ankara also hosted the Somalia Core Group meeting which aimed to discuss the rebuilding of the Somali army. Turkey is part of the Somalia Core Group and recently signed an agreement with Somalia on training, technical and scientific cooperation in the military field. Turkey places great importance on the integrity of Somalia and pledges to continue its support for the reconciliation, stability, prosperity and development of Somalia.